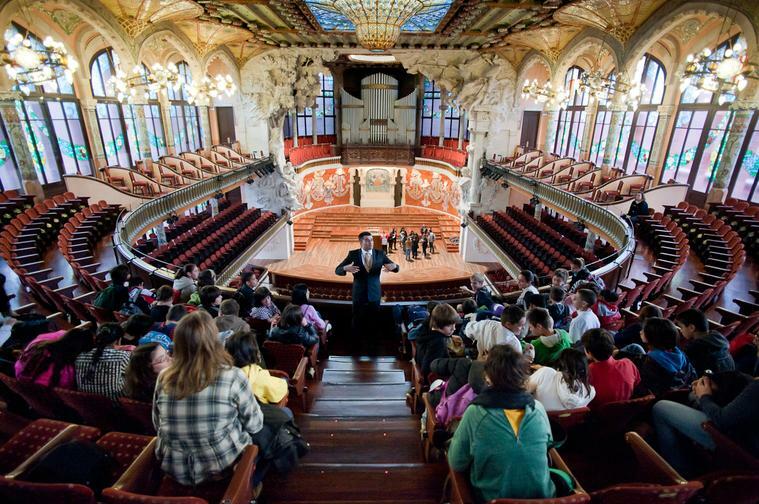 The adventure: Guided tour around one of the most emblematic buildings of Catalan Modernist Heritage Site by UNESCO and then filing and hearing organ presided Concert Hall of Palau de la Música and has a total of 3,772 pipes. -To present one of the most emblematic works of Catalan Modernism and its author, Domenech i Montaner. - Show the magic of the organ explaining its mechanics and its particular sound.